We do not select randomly. All Gorgeous but I have voted for Silvie, definitely a labour of love. Stunning cards from everyone, but Silvie's card has the edge. Wow... gorgeous cards. 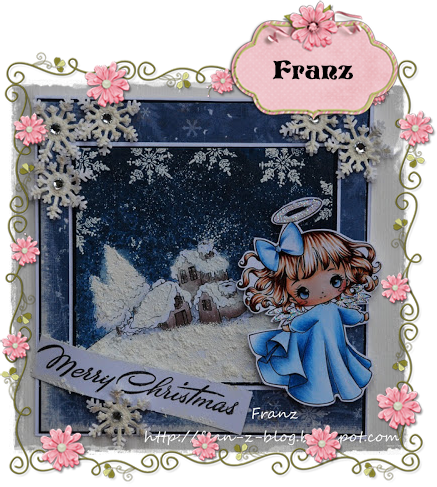 My vote went to Franz, I adore the dark night sky, the snowflakes and that pretty angel, so perfectly colored!! OMG, thanks gals (and thanks Mariska), but i've no chance here, even me love the other cards much more than mine, lol! They are all superb creations. I have voted for Silvie. I have voted for Silvie, stunning card. Wow..totally fabulous ladies. It was a hard choice, but I got my vote in. My favorite and the greatest is Sylvie, what a work!! 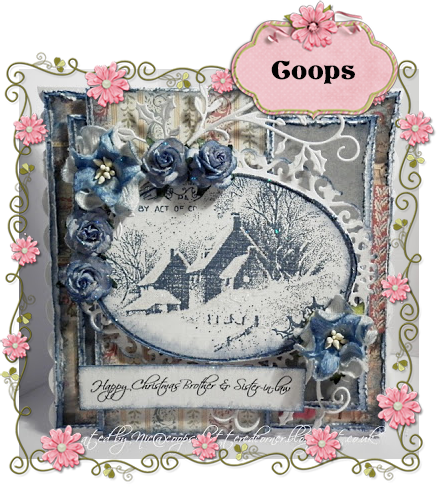 they are all beautiful cards but my vote goes to coops, i love that stamp! it looks amazing in blue and i love all the added extra's. stunning card. All gorgeous cards but Silvie has my vote! Her card is out of this world amazing! All of these are gorgeous but I had to vote for Silvie! That is so labor intensive and simply jaw-dropping! This had to take hours and hours and hours! Sorry for the others but my vote choose to Silvie. silvie is my choice. the dimention and layers of this project just wow me. i'm not even a magnolia fan, not a hater either, but this card is just too cute. OMG sooooo gorgeous. How do I pick between these gorgeous cards!! It's a hard choice. I vote in Silvie. Wonderful. All are gorgeous cards.